Over the centuries, ovens have served many men and women’s passion of cooking. In their different forms, they have been traditionally used for baking, heating, drying and various other purposes. Present in a variety of forms in today’s markets, ovens have started a debate in its users’ mind as to which type of oven should become the beauty of their kitchen and prove to be better than all other types. For those who confuse convection ovens with toaster ovens for versatility and the enjoyment of a great meal, here are some differences that may clear your confusion. Convection ovens or fan-assisted ovens are ones which function differently from a conventional oven. As many of the conventional ovens rely solely on radiation from the oven walls and natural convection to transfer heat to food, convection ovens have a fan which blows hot air into the oven for quick, even and thorough cooling of food. This function makes the convection oven more efficient than traditional ovens. Convection ovens are of the same size as traditional ovens therefore, they can be used for baking bread, pies and cakes, roasting or broiling meat, cooking casseroles, reheating previously cooked food, toasting and browning. Toaster ovens are the small size ovens with a front door, a removable wire rack and a removable baking pan. Some key uses of toaster ovens are broiling, baking, toasting, defrosting, roasting and dehydrating. Toaster ovens work like traditional ovens. The heating elements are located either on the top or the bottom and these elements heat the food and cook it when turned on. Toaster ovens provide a variety of heating options from very high to very low for broiling and searing. It can even be used as warmers too. Like conventional ovens, they also have timer options and thermostats for keeping consistent temperature throughout the cooking time. Some toaster ovens come with convectional options too i.e. they have a built-in fan. They are preferred for their size and functions. The main difference between convection ovens and toaster ovens is that the latter is smaller in size as compared to the former so that it is easily accommodated in kitchens. It’s easier to clean a toaster oven because of its portable parts. Toaster ovens run only on electricity (it’s a plug-and-use appliance) while convection ovens can run on electricity as well as gas. Convection ovens are usually more costly compared to normal ones. The cooking time of both the convection ovens and toaster ovens (with convectional options) is just the same. Toaster ovens without fans take a while to cook like conventional ovens. The heat distribution in convection ovens is very even while toaster ovens have more heat where the coils are. There are certain limitations for both types of ovens. Convection ovens are expensive to purchase and are not the best for baking goods that require moisture (it is said to dry out baked goods). In the case of adhering to a certain recipe the temperature will need to be adjusted according to convection oven. 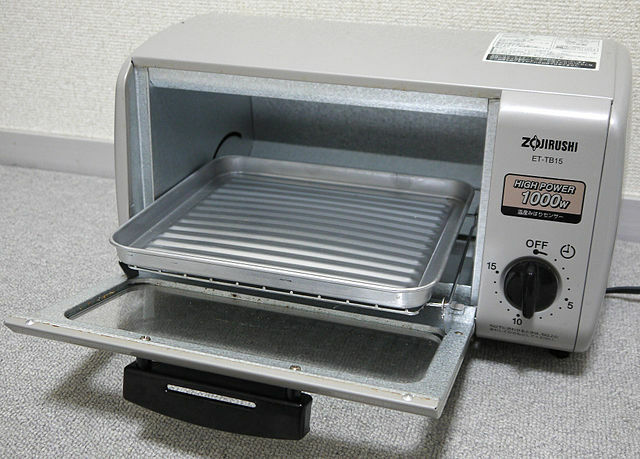 The limitations of toaster oven are that they can make only limited amount of food (for example, only small cakes can be made as the oven is small); and it takes time to heat up and cook. It also has uneven heat distribution. Moreover, toaster ovens are unable to make foods such as rice and are not able to perform other cooking methods such as boiling. Overall, if a large meal has to be prepared in short time, a convection oven is the way to go. For small to medium-sized jobs, from baking a dozen cookies to cooking a small roast, a toaster oven has a lot to offer the modern chef. allana. "Difference between convection oven and toaster oven." DifferenceBetween.net. April 24, 2018 < http://www.differencebetween.net/technology/difference-between-convection-oven-and-toaster-oven/ >.